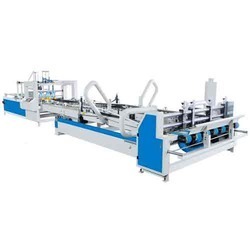 Leading Manufacturer of fully automatic folder gluing machine, semi automatic gluing machine, straight line carton folder gluer, carton gluing machine, automatic folder gluer machine and gluing machine from Faridabad. 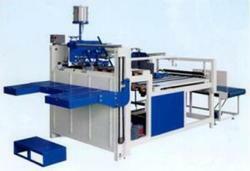 It's full automatic carton box folder gluer machine with bottom-lock functions,and can make 4&6 corner boxes. Widely used to make cellphone boxes, cosmetic boxes, wine boxes, shoe boxes,etc. Classic, Automatic Carton foding Gluing Machine with PLC control Heavy Duty Standard Model with all Accessories. We are Leading Manufactures of Carton Gluing Machines.